Space, performance, flexibility, comfort and better fuel economy...... the twin-hull form of the Curvelle quaranta catamaran motor yacht is one that offers real advantages. 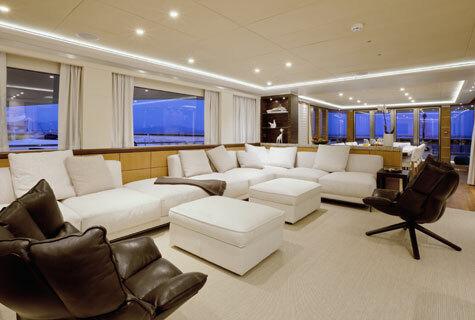 Quaranta's design places all the guest cabins on the main deck, giving each cabin huge panoramic windows instead of light-restricting portholes ...creating light and airy cabins for all. Why settle for less when you can have it all? The hulls on a catamaran are finer (thinner) than those of a monohull and provide far less resistance travelling through the water. Consequently a powercat is typically 30-35% more efficient over a similar volume monohull, achieving the yachting “nirvana” of good speed with lower horsepower, while attaining great range at “economical” speeds. 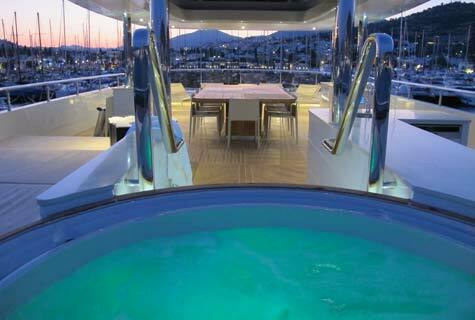 You can do things on a 34m/110 ft power catamaran that you could never do in a monohull –like having six equally spacious guest suites, with huge picture windows, all on the main deck. The 34m/110 ft Curvelle has the volume of a far larger monohull, hence the name “quaranta” (Italian for 40, as in 40 meters or 130 ft). However with a beam of “just” 9m/30 ft, she still fits into a “normal” berth typically used for her volume. The Curvelle catamaran motoryachts with their proven Incat Crowther hull design, provide a soft ride, fine bows cut into the waves and the unique hull shape gently lifts the boat, enhancing the air cushion effect between the hulls. The twin-hull buoyancy is situated at the sides of the yacht, which means there is less rolling movement at anchor and at cruising speed. 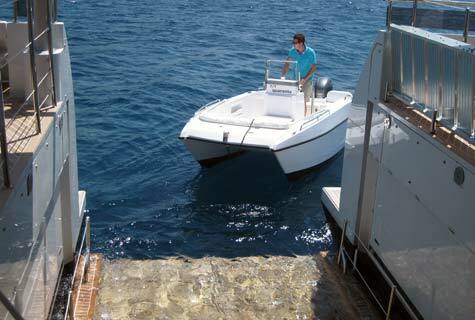 The twin hull form design leaves a perfect spot to launch a large tender or even a mini-sub on a high capacity lift/elevator that can be lowered between the hulls from the aft deck to 1m/3 ft into the ocean. 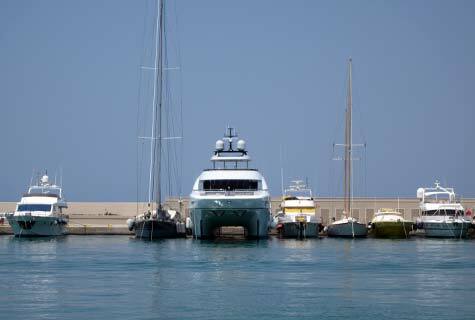 The result is the capability of carrying a 6m/ 19 ft tender on the 34m/110 ft quaranta. With the tender discharged, the lowered platform becomes a spa pool or place to dangle your feet in the water while sipping on your favourite beverage. Power-Cats track comfortingly straight at speed, almost like as if they are on rails. Using the twin engine controls at low speed they easily turn the boat on the spot, which when combined with her length, enable her to get into spots where similar volume monohulls are less at ease. Curvelle “quarantas” have a unique combination of capabilities, from cabin flexibility and multi-use dining room/dance floor/yoga room, to the addition of an optional three story elevator for ease of handicapped access through all decks. 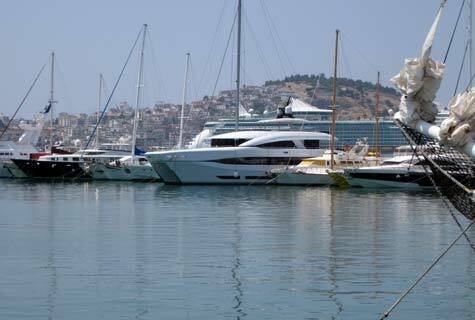 Not only do they have the volume of 40m monohulls, but the usability of far larger yachts. 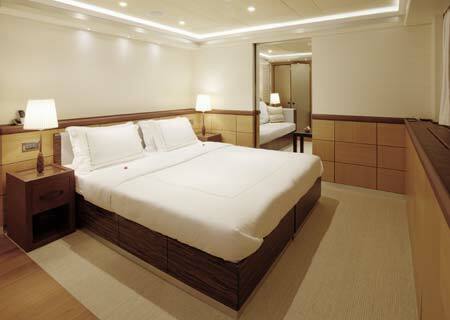 Whoever heard of THREE 9m/28 ft-12m/38 ft wide owner suites (sitting room, stateroom & his’n’hers bathrooms per suite) on a vessel of this size? 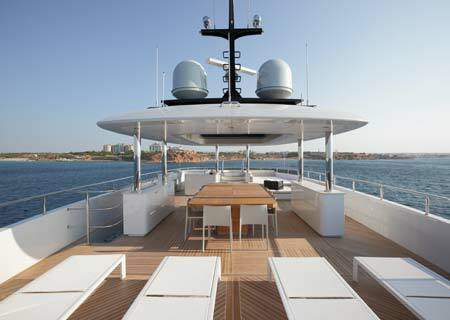 Curvelle custom yachts make an excellent choice for owners who enjoy thinking out of the box.